Krav Maga is far more than physical. I see the American commercial schools and they appear to me more like aerobic classes, and so they are advertised. Photos and testimonials of people who lost a great deal of weight, feeling good about themselves and feeling younger and healthier ...etc, all great but that is not what we are about. This fitness -boot-camp- way of thinking has become so much the norm that if one interrupts the "workout" to discuss self-defense it is seen as an "interruption" and perhaps, heaven help us, a waste of time. People think Krav Maga is a workout, or a run, so that if one interrupts with mere words it hurts the pace and lowers the pulse. This is not at all what Krav Maga is about. 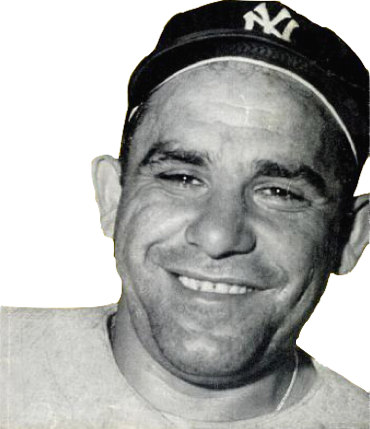 The legendary baseball player and folk hero Yogi Berra would say, "95% of the game is half mental". Baseball is a physical game but it is mostly a thinking game. There is less "action" than basketball or hockey but much more thinking. Krav Maga training is the same. Thank you Yogi. A key part of Krav Maga, a key part of self-defense is to understand both the victim mentality and the attacker mentality. You have to get into both of their shoes. This is Crucial. You need to understand the victim. I gained great insight into this aspect when my home was broken into. I have not been the same since. Time does not heal these wounds. You need to put yourself deep into the shoes of the victim and walk a mile in those shoes. You need to understand the fear, the pain, the shock. Once you do that you will realize that 95% or more of what is taught in martial arts - self defense classes does not fit at all into this frame of mine. Fancy moves involving grabs, speed, strength and coordination may work for the instructor in class with his students but they will not work for the average person on the street. They will not work for the person who has normal abilities and limited time to train. Such a system will prove useless to the public, and therefore it should not be taught. I strongly believe there should be a national board that regulates such matters. The public is at risk. Put yourself in the shoes of the victim, feel his pain, feel what it means to be violated, to find an intruder in your home, or in your body! And then rethink everything!! Rethink everything you ever learned and be very careful with what you teach to others. We have a great and grave responsibility, this is not a game. Take your training seriously.